AC "This is THE most practical counselling I have EVER had. Because he is so centred and peaceful himself, this rubs off so you can feel nothing but safe and peaceful as well. 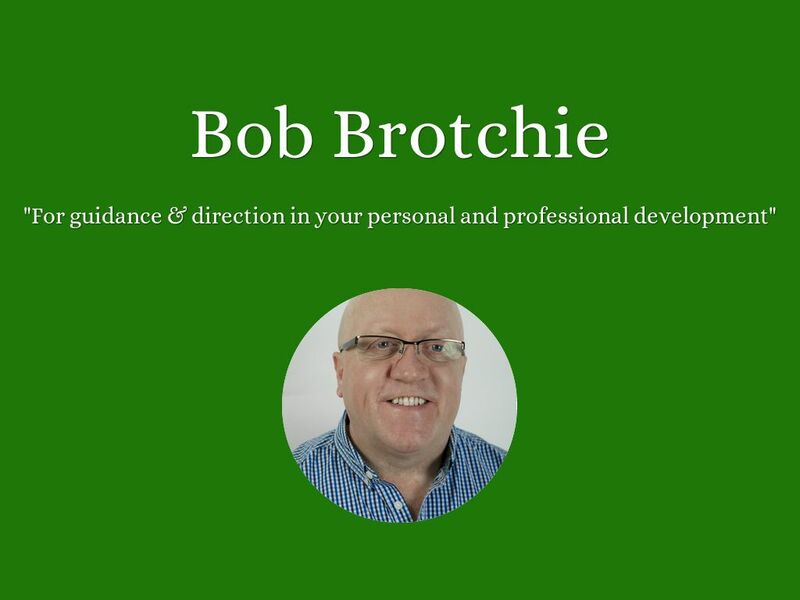 Bob gives clear steps to get out of bad emotions not just some fluffy discussion that makes you wonder what you got out of a session. 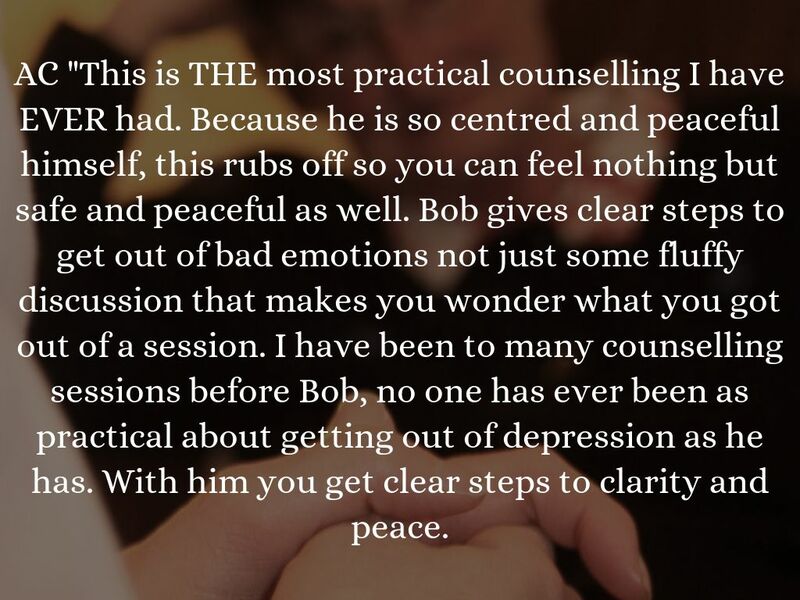 I have been to many counselling sessions before Bob, no one has ever been as practical about getting out of depression as he has. With him you get clear steps to clarity and peace. I feel so much happier now than I have for a long time. I feel my life is fully in my control and heading in the right direction for me. I have gotten back into my fitness training away from my old gym, and this has opened up a whole new world of like-minded friends. Anon. 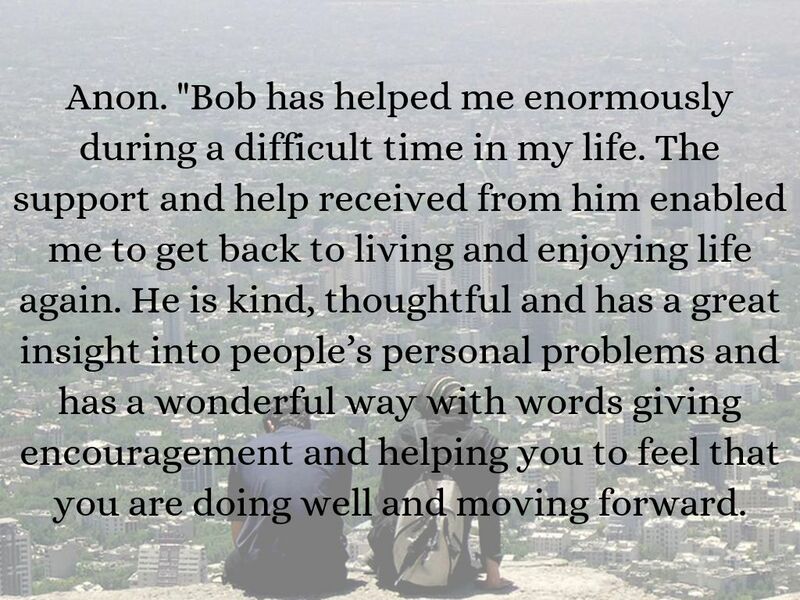 "Bob has helped me enormously during a difficult time in my life. 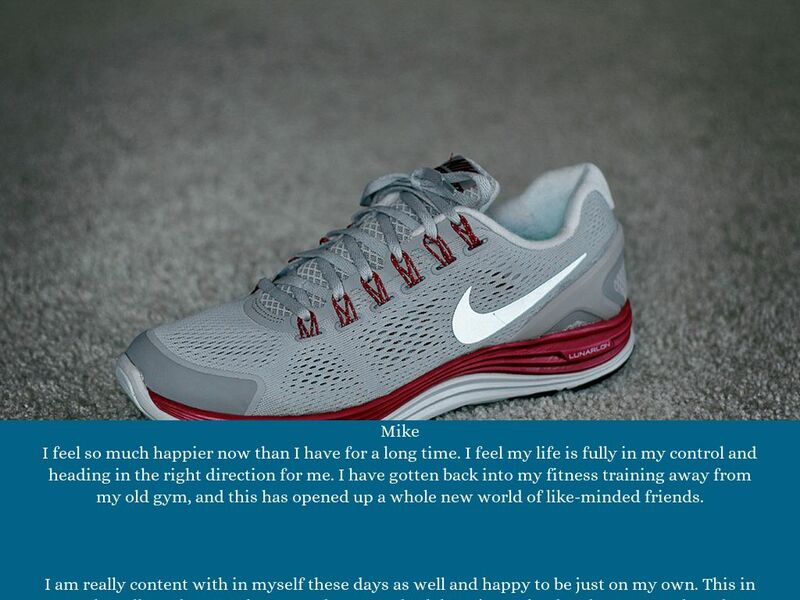 The support and help received from him enabled me to get back to living and enjoying life again. 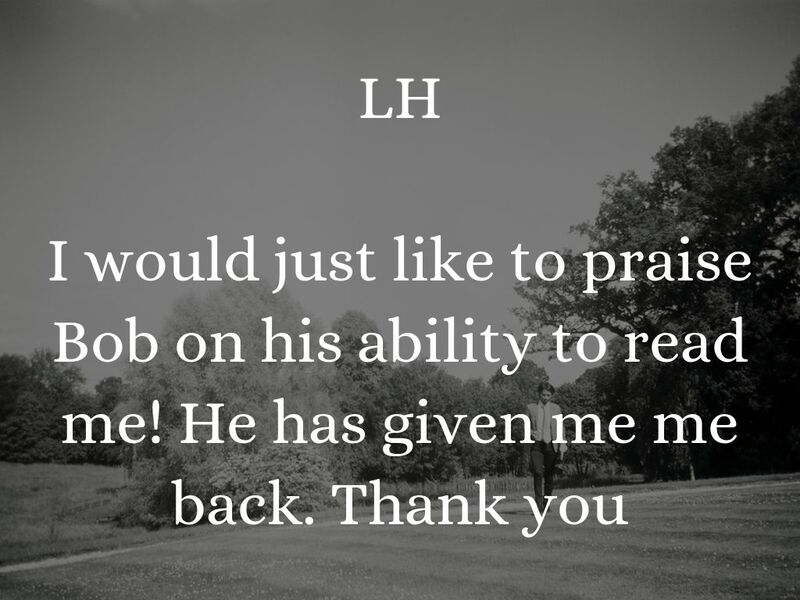 He is kind, thoughtful and has a great insight into people’s personal problems and has a wonderful way with words giving encouragement and helping you to feel that you are doing well and moving forward. 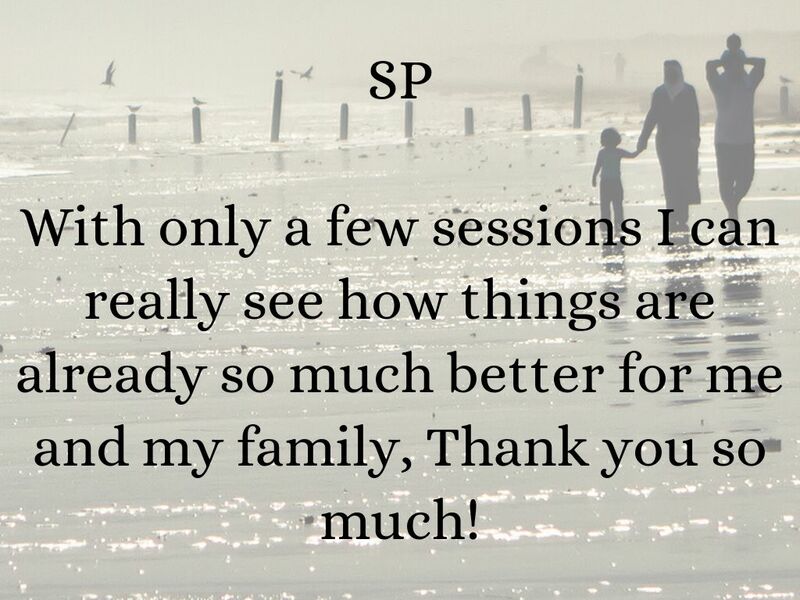 With only a few sessions I can really see how things are already so much better for me and my family, Thank you so much! 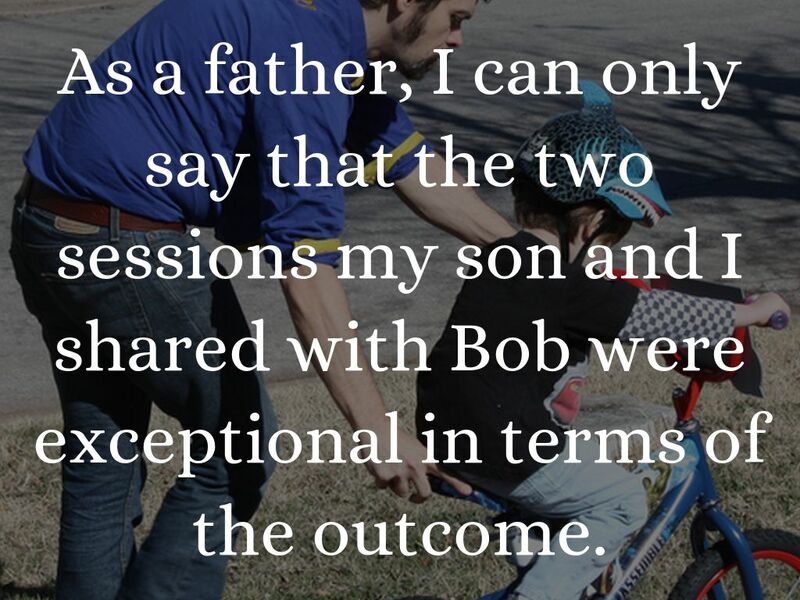 As a father, I can only say that the two sessions my son and I shared with Bob were exceptional in terms of the outcome. I engaged Bob when I was undergoing a marital separation. 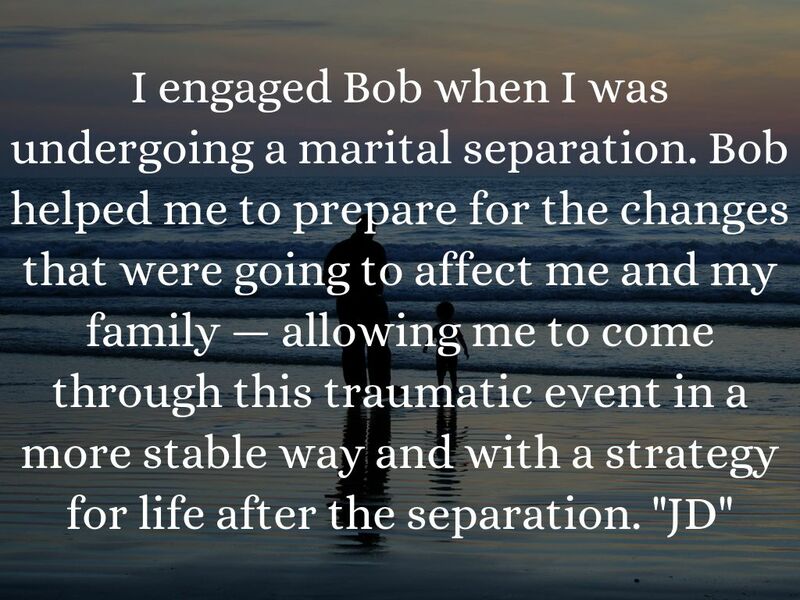 Bob helped me to prepare for the changes that were going to affect me and my family — allowing me to come through this traumatic event in a more stable way and with a strategy for life after the separation. 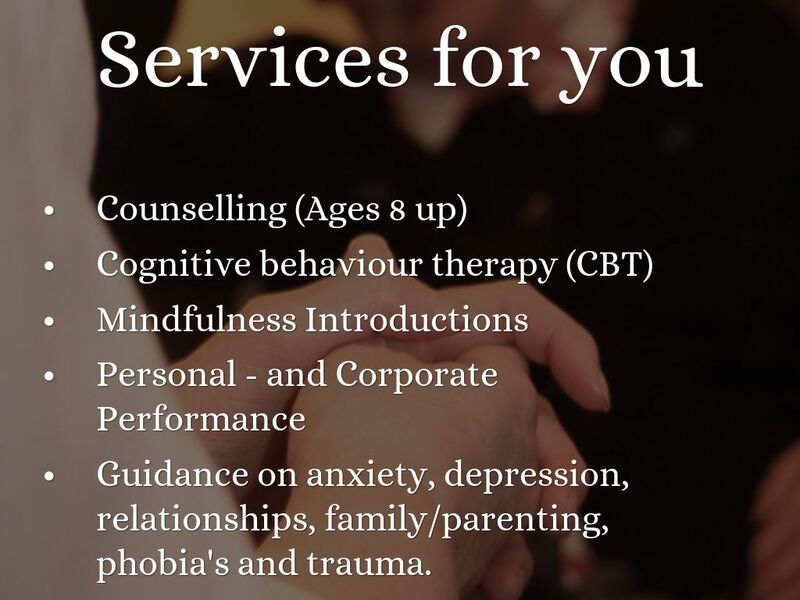 "JD"
Guidance on anxiety, depression, relationships, family/parenting, phobia's and trauma. "For guidance & direction in your personal and professional development"